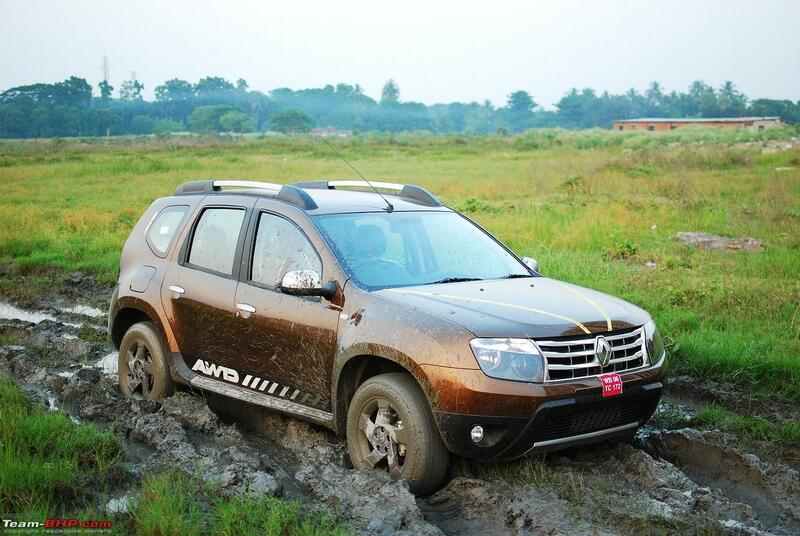 The Duster with HT performed really well and it took us almost 10 minutes to get it stuck in the same place where a 4WD Storme (again with HT tyres) got stuck within seconds. Thank you for this post. 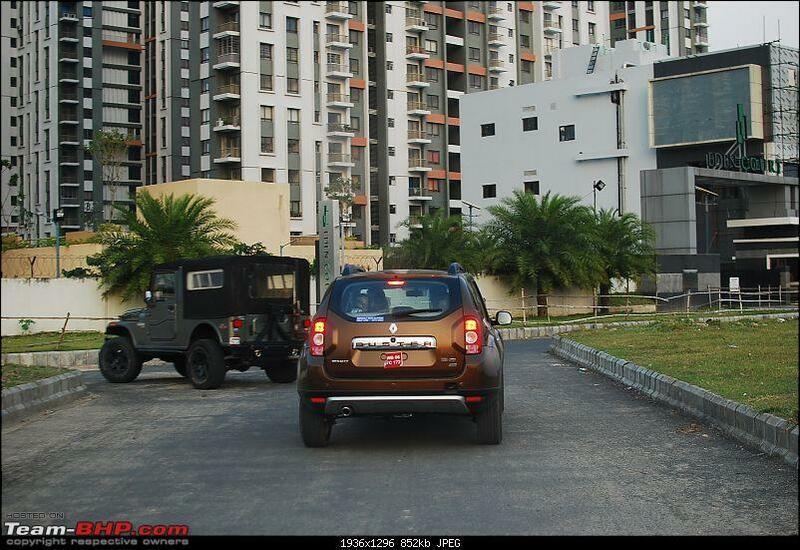 Two questions, how would you compare Thar with Duster AWD and second I could not see Storme in the pictures. Was is tested at some other time? Thanks @Blackpearl for the pics. Drove it a bit on good roads on the way to the OTR site. It's quite effortless to drive even at fairly high speeds. Light controls. Hardly any turbo lag. Quite silent for a diesel. The interiors, while still not at a 15L level, are much less of a put off. I could quite live with it. The boot space has decreased from 465 odd litres to 410ish since the spare wheel is not suspended below the boot anymore. It's in the boot reducing the depth. 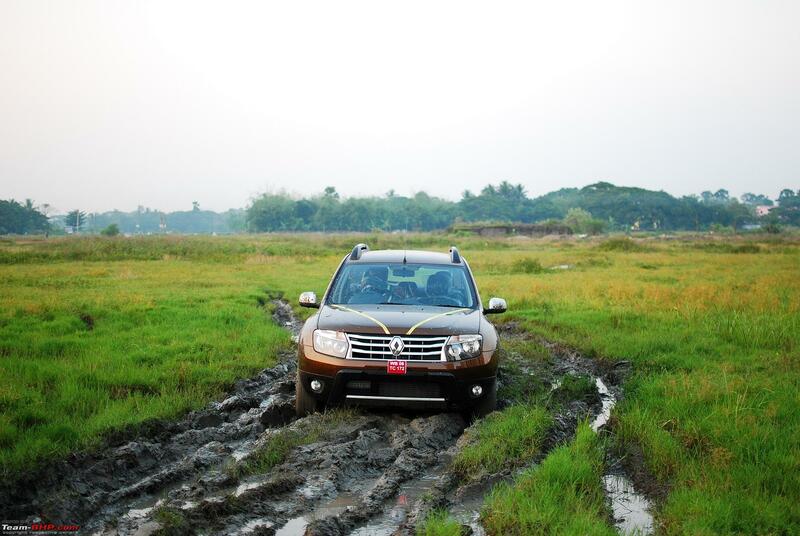 @sourabhzen, the Storme was tested a few weeks ago. 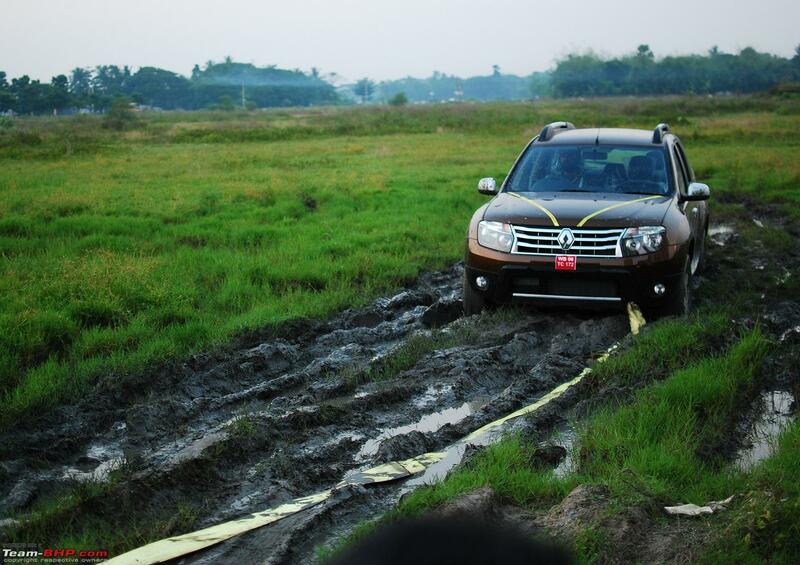 The Duster crossed this mud slush section thrice up and down. Twice peacefully with momentum. Then at crawling speed. 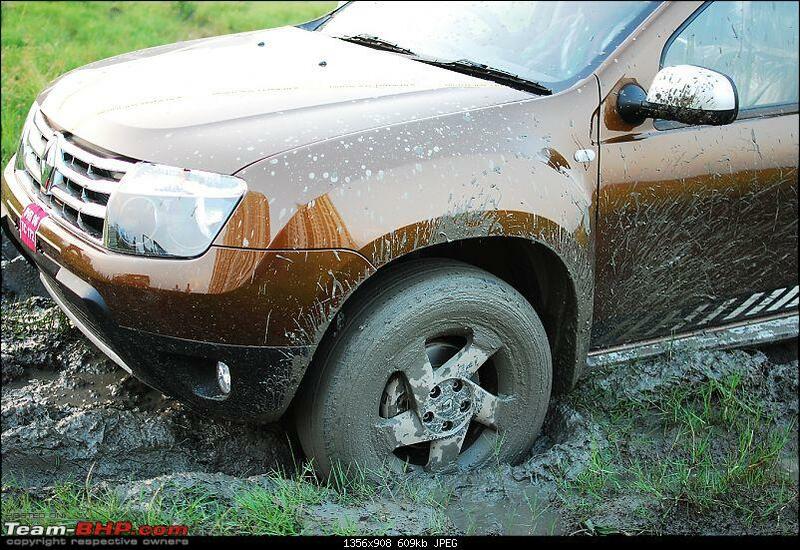 It got stuck when attempting a fourth pass but this time crawling in reverse gear. 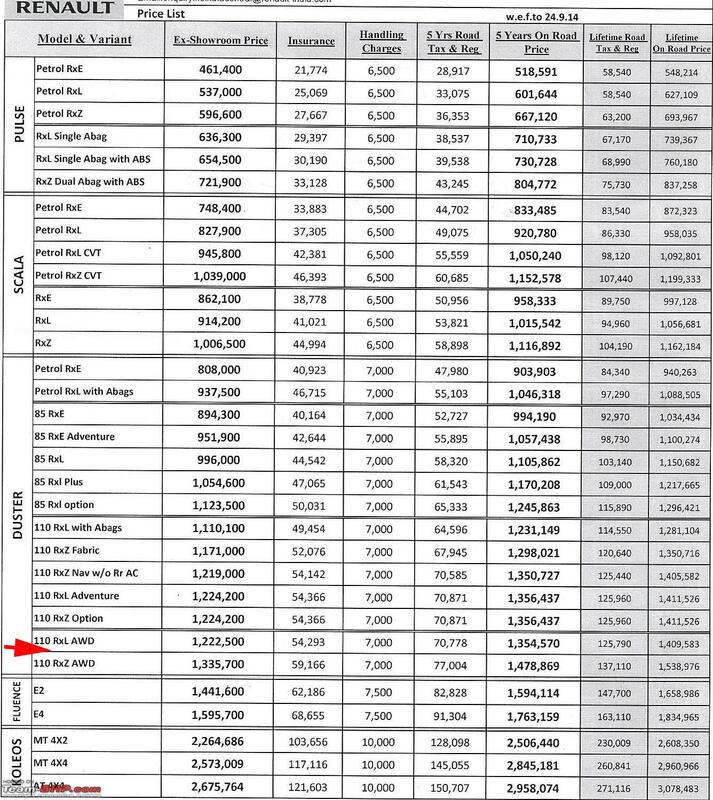 On road price at Kolkata is around 14.81L with 5 year tax and 15.4 with lifetime tax. Last edited by shuvc : 7th October 2014 at 14:16. 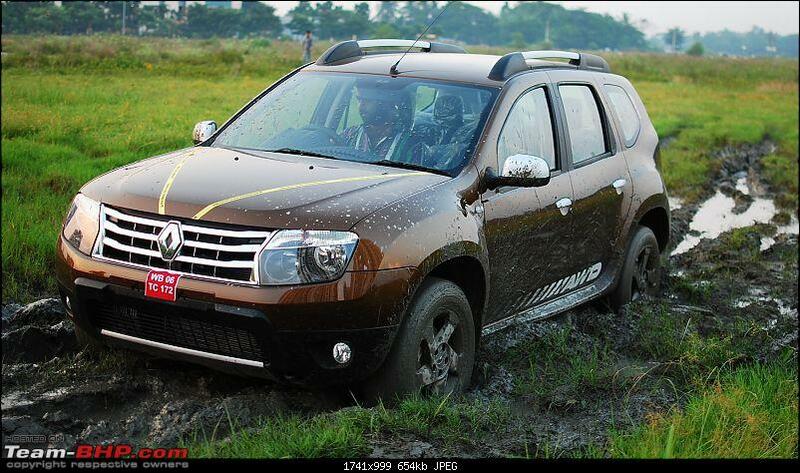 The Thar can take more beatings during offroading than the Duster, but the Duster is far more comfortable. The Duster is a family tourer whereas the Thar is strictly for two people. 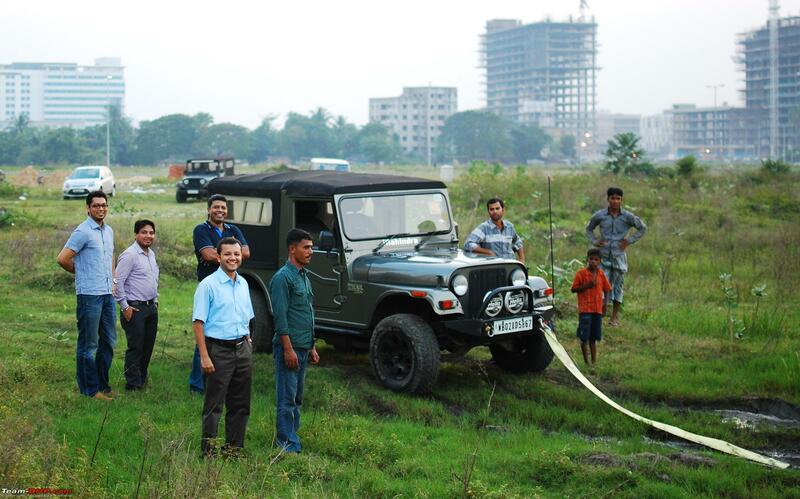 Road presence wise, nothing comes close to the Thar specially with those after market bumpers and wider tyres. 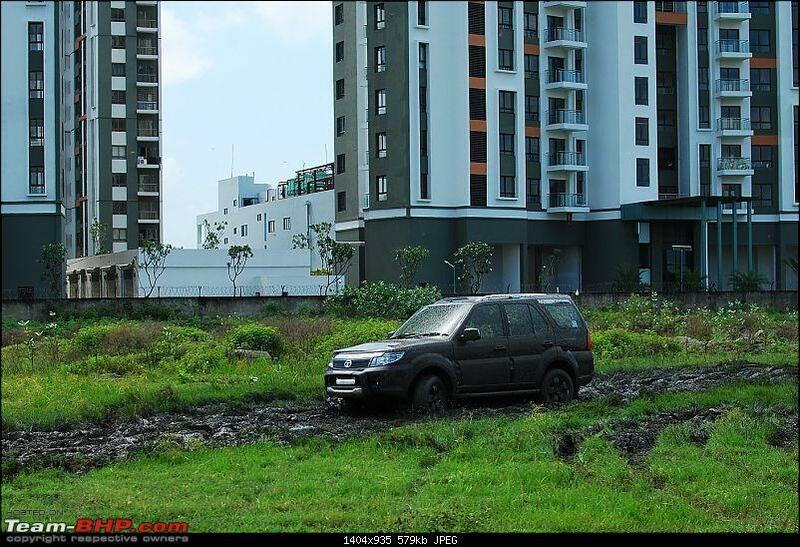 The Storme was taken to the same place two weeks back. Here is a picture. After crossing 3 rivers and 5 major water crossings with a 2013 dacia duster I can safely say this beats safari and scorpio. Even did deep snow with underbody scraping which means a snow depth of more than 7 inches. There were places where we were see sawing on 2 wheels. 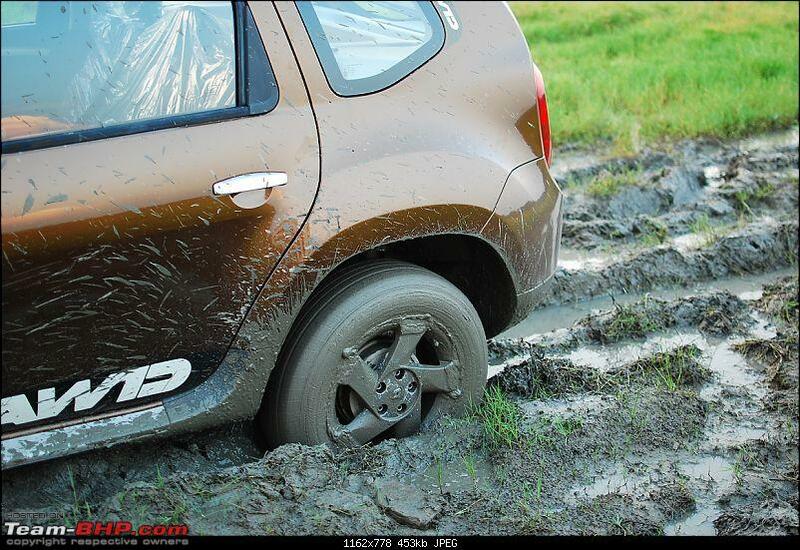 One front and one rear had zilch traction. 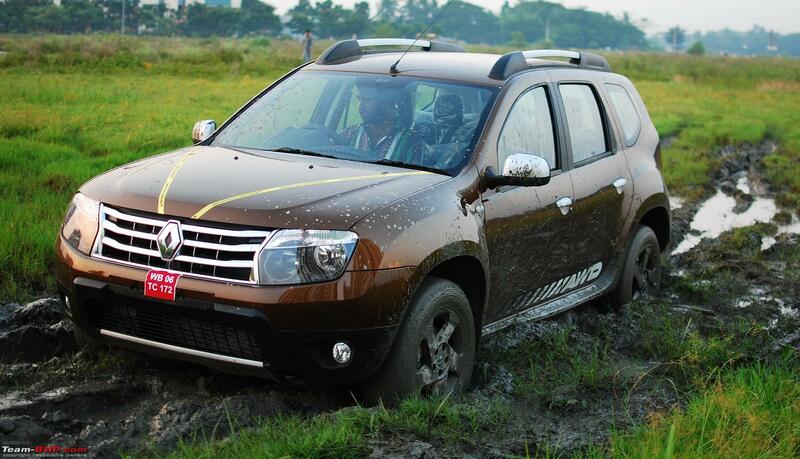 The traction control ensures to send more power to wheels with traction. 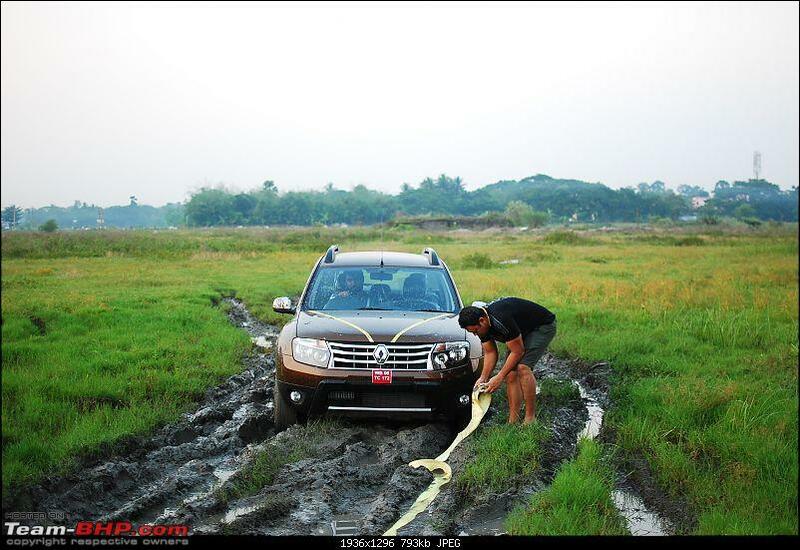 This system is what makes this superior to normal 4wd suv. So what is the catch? Gc may be 210mm the avereage gc is also close to this number. 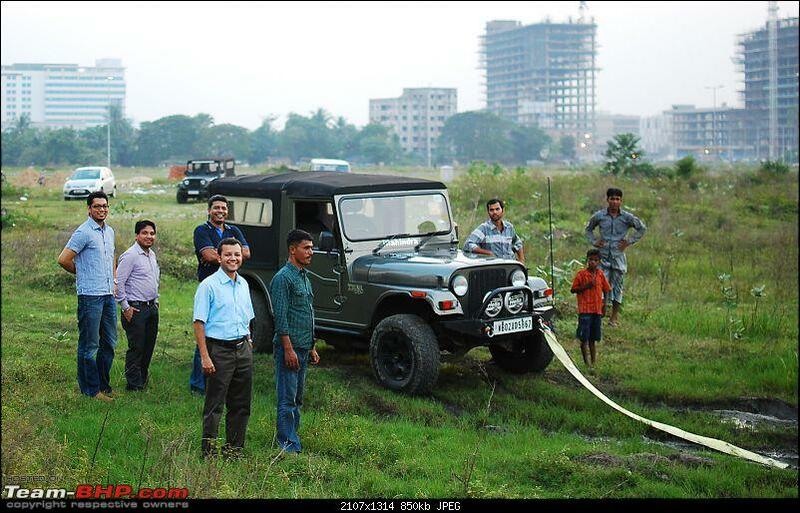 In ladder on frame usually the diff sits at 210 or so with rest of the vehicle much higher. So rock crawling is safer. As for the gearing its fairly short. 100kmph in 6th is around 2300rpm. 1st gear is good for crawling. Hill start and decent works great. 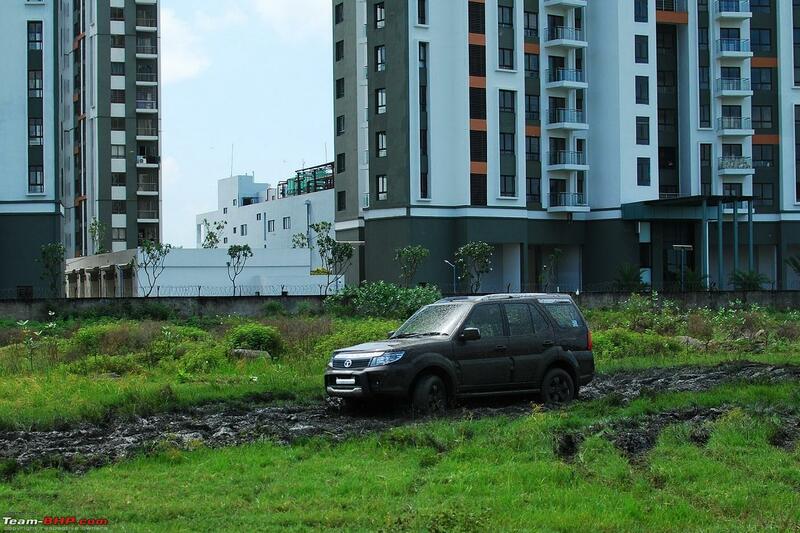 Mixed use FE is 16.5kmpl with highway, high speed mountain driving some city and some low speed offroading. Expect around 18 on our highways and 14-15 in city. Low gearing also means more driveability at the cost of needing to up shift often. Precisely what a lot of folks (including me) were waiting (and wanting) to hear. 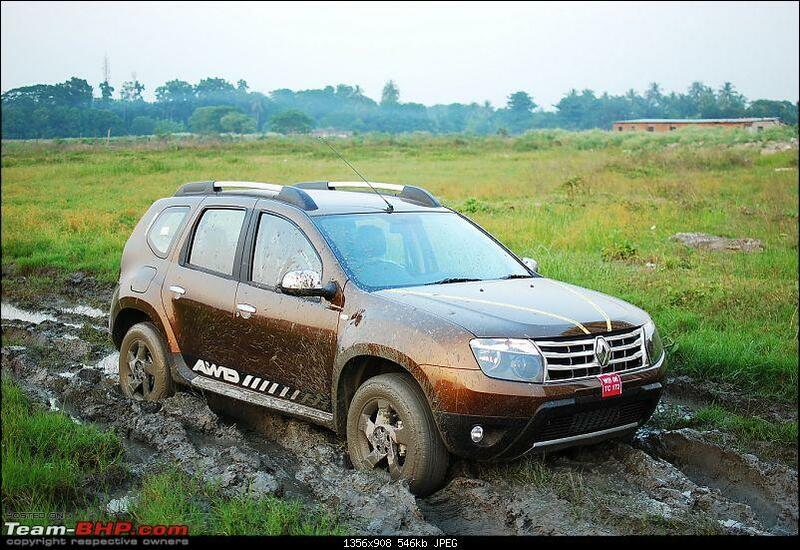 In the last 2-3 weeks I had watched all videos on youtube that were even remotely related to Duster and wherever I had the opportunity to see it off-road (however little) I was amazed by this vehicle, especially how it tackled snow and slush where a couple of heavy SUVs (including a Montero in one) were struggling. 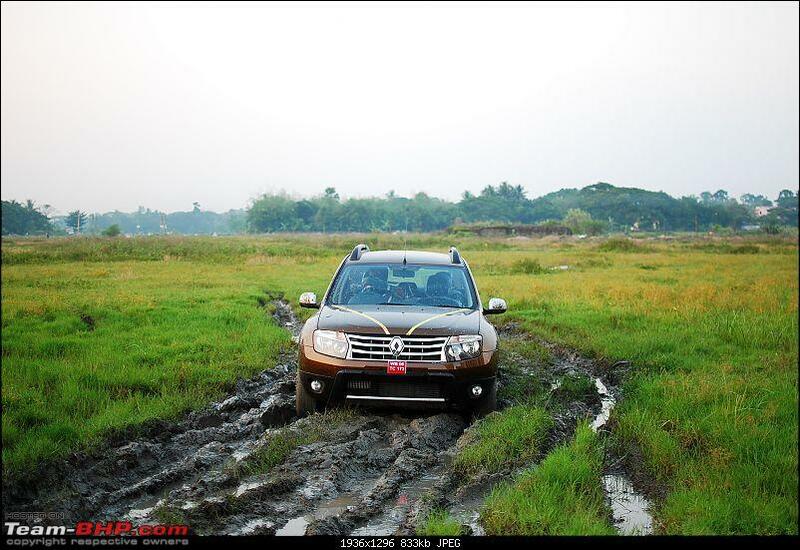 Having said that, its no Thar or Storme as both have distinct advantages, be it mechanical or cosmetic but if I was to rate all the SUVs/Jeeps available in India today and declare a winner car that could be a daily driver, a decent highway vehicle and an expedition vehicle for those yearly trips off-beat places (to mountains, dunes or beaches) - it has to be the Duster. While it might be a self-invented oxymoron but Duster seems to be rightfully compact and adequately large and THE car (SUV) I'd want to own. Could you share some details around this? Was this during your Europe trip or something done recently? 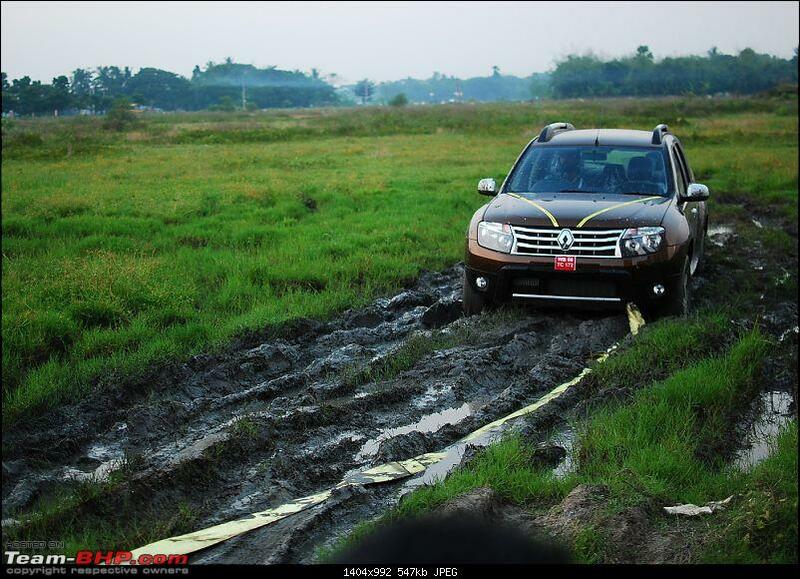 I couldn't test drive one as the AWD test drive vehicle was not in yet and I sincerely doubt whether I would have been allowed the mud crawling test at all ! Checked out the display car at the showroom and ended up booking the Amazon Green RxZ AWD last week. 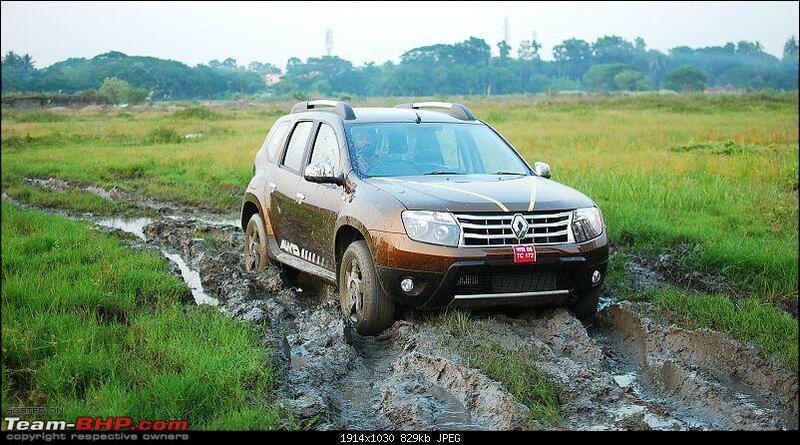 Renault Kolkata Central informed that as of 28th Sep mine was the 7th booking through their dealership. Eagerly awaiting delivery by next week. The Sales Rep was absolutely clueless about the additional functionality of the RxZ AWD model , except the AWD mode dial switch ! I own a Hyundai now , I just wonder how my service experience would be with Renault , keeping my fingers crossed. Last edited by DriveTrain : 7th October 2014 at 21:43. Renault should use some of these images for their promotions, seems a really good test compared to the gimmicks conducted by ACI and Overdrive. I Checked out the display car at the showroom and ended up booking the Amazon Green RxZ AWD last week. 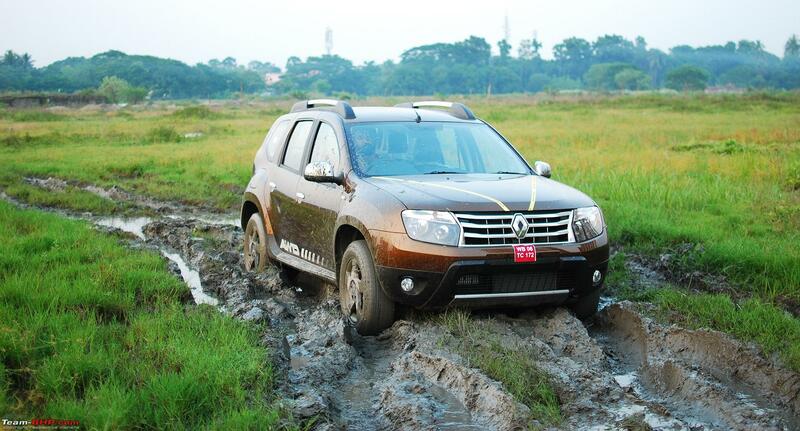 Renault Kolkata Central informed that as of 28th Sep mine was the 7th booking through their dealership. Eagerly awaiting delivery by next week. Did you book at sticker price or were there any freebies thrown in? 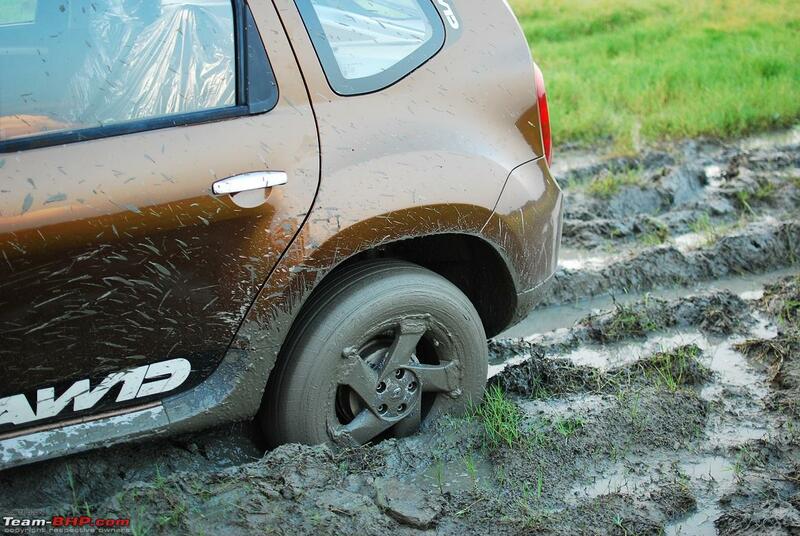 For an Off-road vehicle, what is more important apart from AWD/4X4 is, the GC. 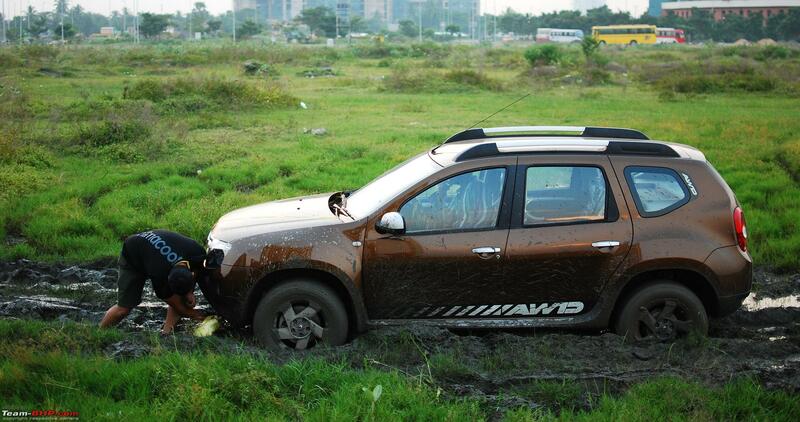 Did Renault make any changes to the AWD Duster with regard to the GC? 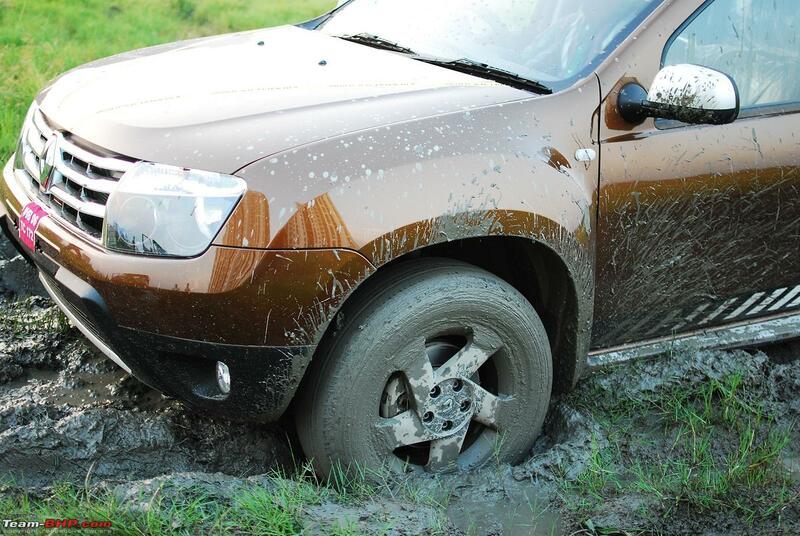 Hope the GC won't be a deal breaker for many off road enthusiasts! Nothing much to write home about within a couple of days of launch - Mud Flaps , additional Foot Mats and Door Guards thrown in. Managed to negotiate on the Insurance and bring it down. Went in for Bajaj Allianz . 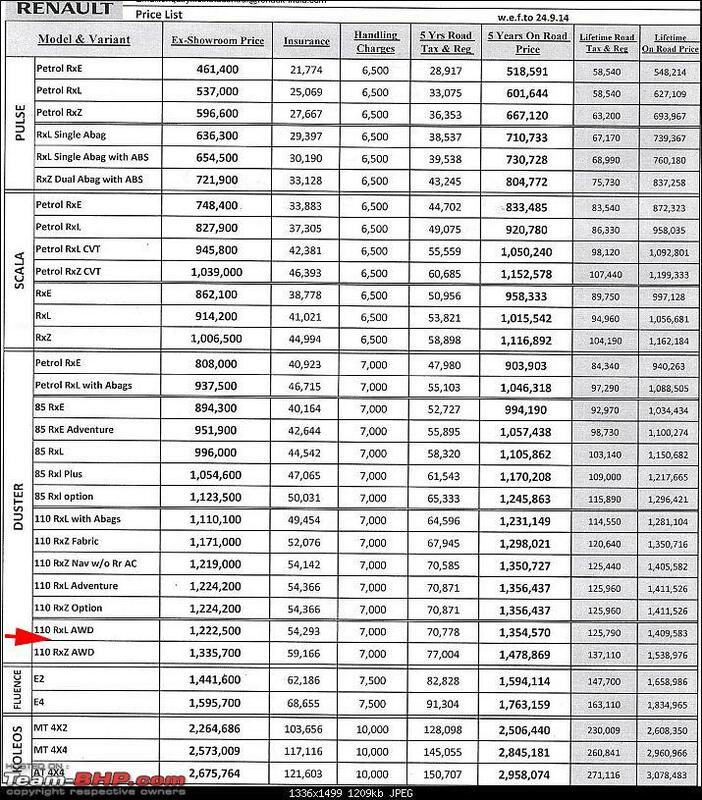 Here is the Kolkata price list. Thanks a lot DriveTrain. Here in Bangalore they are not giving anything. I need to book quickly but don't know what to do. I test drove it and the non-AWD as well. I'm so inclined to the 4x4. I think they have increased the GC by 5mm. The AWD has a GC of 210 mm as to 205 mm of the regular version. Someone correct me if I am wrong. Comon guys, would like to see pic of rear axle, anyone? !aerohit - google throws up tons of pictures. 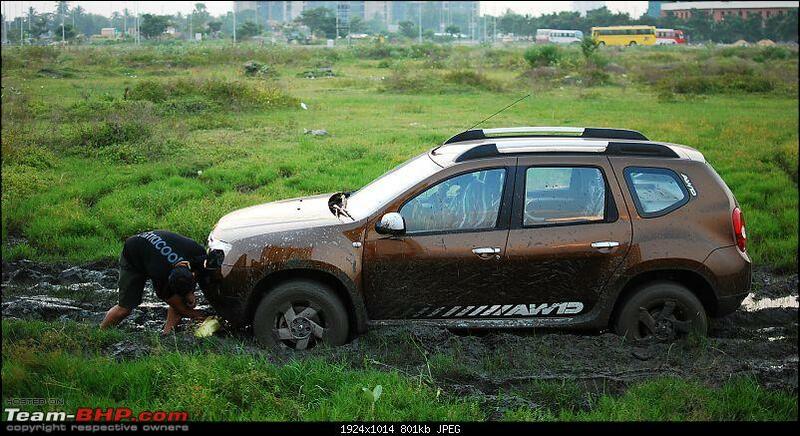 Look at Dacia Duster. Unless of course you want a particular angle in which case it will make sense to be explicit about your requirements.